If your content is high definition, then your packaging should match. 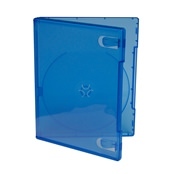 Blu-ray cases are iconic packaging that offer protection and elevate the overall look of your project. 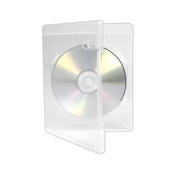 They are slightly different than standard DVD cases, however, and therefore have different insert dimensions. You cannot use the same dimensions from a DVD case for Blu-ray inserts. And, of course, they have that familiar blue exterior casing but also come in clear.